Dawson Precision quality all steel sight. 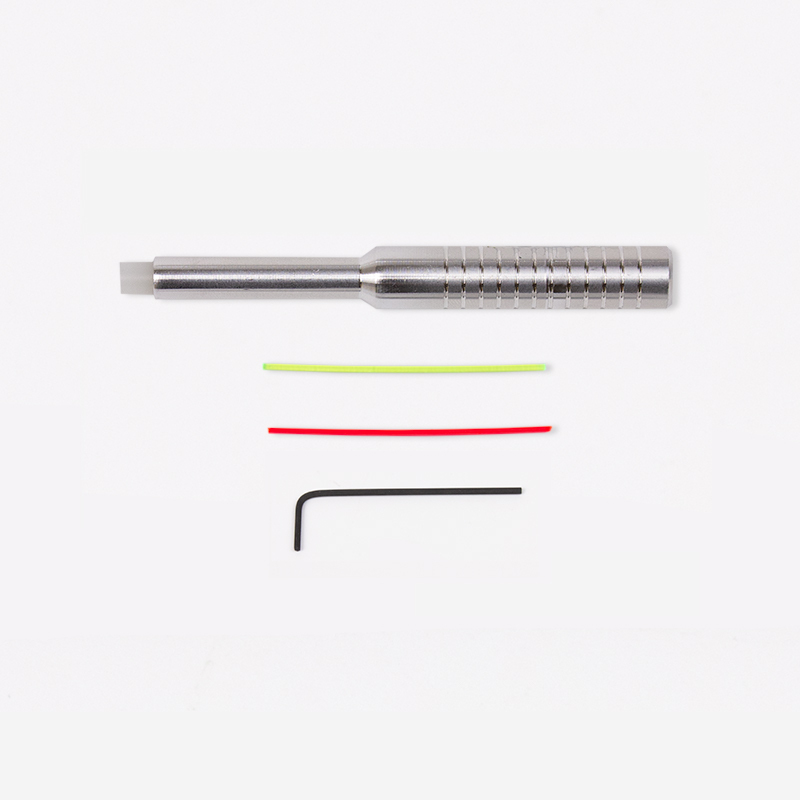 Includes a nylon installation punch, spare fiber optic rods in red and green. Dimensions: Blade width .125″, blade height .155″, total height .230″.